Hiring the right person from the beginning will keep all of your overall costs down. The cost of replacing a hire is estimated to be more than double the original salary for that position. With the difficult economy and the struggle to secure good jobs, the temptation to falsify important information is stronger than ever. A background screening can verify references and ensure a thorough investigation on all points claimed in the application, resume, cover letter and any other information provided. References can be faked, but we know that the most accurate information can be found if only the right questions are asked. Getting a background check from the start will help prevent the above problems with employees and thus reduce turnover in the workplace. Reducing turnover will keep costs down, solidify workplace security and increase productivity in current employees. Just yesterday we posted about how important it is to perform verification screenings such as employment history verification, education or degree verification, professional license checks and professional reference verifications. By doing this you have an extremely good chance to find out the truth about the employment history of a person, how they get along with others and if they good performance marks. I believe that with how competitive the job market is we will only see more applicants misleading, lying, exacerbating the truth and or committing fraud on their applications. As an employer please do yourself a favor and spend a bit more money to verify what people put on their resumes. Link to article – I have also posted the complete article below. Analysis of frauds recorded on the CIFAS Staff Fraud Database during the first half of 2012, compared with 2011, revealed a notable increase in those recorded for employment applications containing serious material falsehoods (up by 160% from the first half of 2011). ‘Material falsehoods’ are those whose impact is far greater than a simple untruth: where the nature of the falsehood had a definite impact on the application (e.g. an applicant saying a previous position had ended for career development reasons when the applicant had actually been fired). As economic and employment problems persist for many, increases in fraud of this kind are unsurprising. The increase underlines, however, the importance of proper vetting procedures and checks. 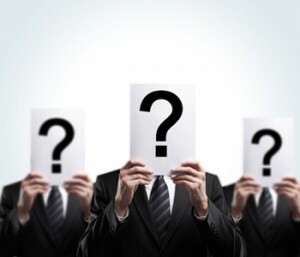 Establishing that an applicant is who he or she claims to be (in terms of identity, professional qualifications and employment history) is essential in ensuring that a position is taken by a suitable candidate, as opposed to one more likely to cause further (deliberate or unwitting) damage. So the guy sitting across the desk from you has a stellar resume. It says he went to college, has been certified, and has years of on-the-job experience. But how can you be sure everything he claims is true? That’s where a verification background screening might come in handy. Is this type of screening worth it? Absolutely. The competition in today’s job market makes it tempting for job searchers to stretch the truth. According to the U.S. Bureau of Labor Statistics, the national unemployment is hovering around 8%. Thus, as people become more desperate for jobs, the incidence of fraudulent resumes rises. The last thing you want to do is hire someone, spend money on training, and then realize he or she is entirely wrong for the job because they lied about experience and previous job positions. And the cost of hiring is quantifiable in more than just the cost of paying someone during training; you must also take into account the pay of whoever does the training and the time it takes for the new employee to reach the level of competence necessary for them to become profitable. Now imagine you’ve already expended this money, only to find out your new hire doesn’t have the qualifications you thought he had. Don’t let this happen to you. Hire the right person the first time by checking their background with a verification screen. At VICTIG we have put in place processes that can decrease turnaround time on employment and education verifications by %33. To some employers that can save them time and money. The great thing is that we don’t charge more than what most are paying now so for us to be more competitive on price and do the verification quicker that two punch combo is unbeatable. The article below is a good example of a company that even though they have a policy in place that excludes from employing individuals with certain criminal convictions for specified periods they are still facing scrutiny from the EEOC. I am sure that Dollar was and is trying to do a good job with it’s policies and follow them as best as possible but with the revised guidelines from the EEOC this year most companies policies are just not good enough. The EEOC says “When employers contemplate instituting a background check policy, the EEOC recommends that they take into consideration the nature and gravity of the offense, the time that has passed since the conviction and/or completion of the sentence, and the nature of the job sought in order to be sure that the exclusion is important for the particular position”. VICTIG will consult for free anyone that would like to revisit their background screening policy. Please let us know if you need any help. Goodlettsville-based Dollar General Corp. says it could be hit with an Equal Employment Opportunities Commission lawsuit over the retailer’s criminal background check policies, according to a recent SEC filing. The Equal Employment Opportunity Commission has alleged that the company’s criminal background check policy has a “disparate impact” black job candidates and employees, a violation of the Civil Rights Act of 1964. The company was notified about the allegation in September of last year, but efforts to resolve the matter through a conciliation process were unsuccessful. Dollar General Corp.’s policy “excludes from employment individuals with certain criminal convictions for specified periods,” according to the company’s filing. “The Company believes that its criminal background check process is both lawful and necessary to a safe environment for its employees and customers and the protection of its assets and shareholders’ investments,” the filing reads. Companies have had to dole out millions of dollars in fines and settlements for criminal background check policies that didn’t pass muster with the EEOC. Earlier this year, Pepsi Beverages agreed to pay $3.1 million after the agency found the company’s’ use of criminal background checks discriminated based on race. The EEOC revised its guidance on criminal background checks earlier this year. As the EEOC focuses attention on employers’ use of criminal history in hiring decisions, the agency suggests companies review and revise their background policies. In general, the EEOC considers broad blanketed exclusions on any individuals with an arrest or criminal history to be in violation of federal law. We have made a push lately to be more Social. We feel we understand Social Media very well and have implemented SMO on different levels with multiple projects but have never really pushed VICTIG out on the Social Media scene. We have created a Facebook page, Twitter feed, LinkedIn business page, Google + page and YouTube channel. It is going to be a big project and commitment of ours to keep these different Social Media outlets up to date with constant content but we are going to give it our best shoot. We are solely a business to business company and even though Facebook is, in our opinion, mostly a business to consumer platform we still wanted to create a Facebook page to push content and information. Background screening information can be boring when you write about the Fair Credit Reporting Act and how to stay compliant, educating HR directors on the process of Pre Adverse Action and Adverse Action and informing business about the changes to the EEOC’s suggestions on how be fair and consistent when making employment decisions based on the back ground check….. but with that said, we want to be informative and at the same time provide fun content. Landing a job in today’s economy is no small feat. Unfortunately, a competitive job market can tempt applicants to stretch the truth when submitting a resume. Just look online: business is booming for those willing to provide fictitious backgrounds. For a nominal fee, hopefuls can purchase college diplomas, “official” transcripts to verify education and even fictional references. Remember what happened last May? Yahoo’s former CEO stepped down after being called out for falsifying his education. If only he were the only one who had exaggerated qualifications to get a job. Unfortunately, it happens more than you might think. The Society for Human Resource Management conducted a survey in 2004 that revealed that more than 60 percent of professionals had uncovered falsified information about would-be employees after conducting a background check. Fast-forward almost a decade — in a much more competitive job market with more advanced resources — and that percentage is almost certainly higher. So what can be done to protect companies from making a costly and embarrassing mistake when bringing on new talent? A thorough interviewing process is a good place to start. But you should also consider a background check. Background checks can help employers uncover what’s really behind a resume, for good or for bad. These truths might include legitimate employment histories, salary and bonus earnings, educational accomplishments, valid nonprofit activities and character references. As the interviewing process evolves, some initial concerns regarding resumes may be moved to the back-burner as other aspects of a candidate — such as their workplace culture fit or winning personality — take center stage. But withresume fraud on the rise, why should companies take a chance? Thorough background checks, including state and federal court records, educational achievements and credit reports, should be routine for all serious candidates. Companies — both big and small — lose out when a fraudulent applicant is hired on as part of the team. These applicants can expose their employer to embarrassment, unwanted media, disruption and loss of productivity. In serious cases, those candidates can even lead companies to litigation. So before you hire, take the time to look hard at your prospective employees. It will save you in the long run. Here is a updated list of all the completed commercial ATS/PMS integrations we have. We work with partners all over the country and have the ability to integrate with most any software out there. The Tazworks team has been working extremely hard to give us the edge on the competition. We are %100 confident in our products, customer service, turnaround time and creative background screening solutions to compete with any other company out there. This list is where we blow right past everyone else. The fact that we can do a better job and at the same time save companies money is great but now business wont have their hands tied if they wanted to switch provides if they are using anyone on this list. Our software partner Tazworks and myStaffingPro have teamed up to add a seamless interface for ordering background checks from within the myStaffingPro applicant tracking and recruiting software. By utilizing TazWorks’ integration with myStaffingPro, now we can offer our clients or any new client single sign-on access allowing them to place orders and view reports without going outside the myStaffingPro software. Background screening integrations with ATS partners we feel is becoming more and more important to stay competitive and be versatile with technology. Anyone out there using myStaffingPro we would love to give you a quote on your background screening needs. The myStaffingPro integration will save you time and we can save you money. This is just another example of our ability to offer background screening solutions to any employer out there weather you have 100,000 employees or 50, we can service your needs and do it better than anyone else.